The Mars Rover has arrived, and it’s setting a new standard for hard floor campers. 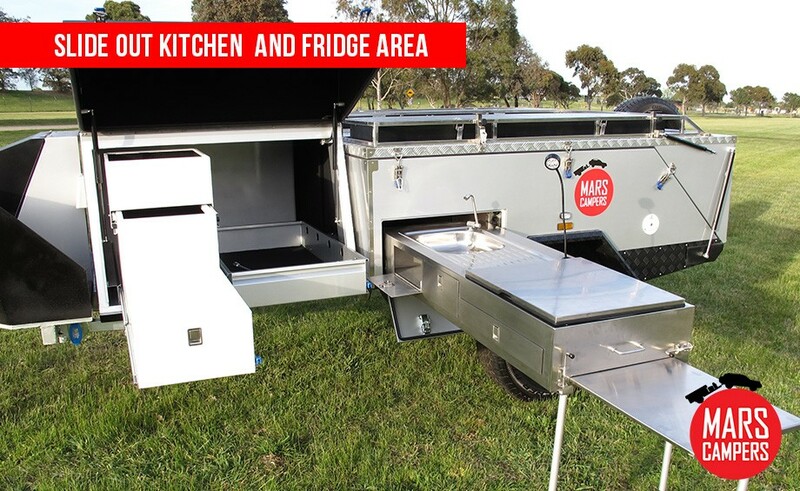 It’s built tough to handle your weekend bush bashing, or that big outback adventure, and it comes loaded with a long list of standard equipment. The Mars Rover looks the goods too, with its slick silver baked enamel paint finish, and mud terrain tyres. 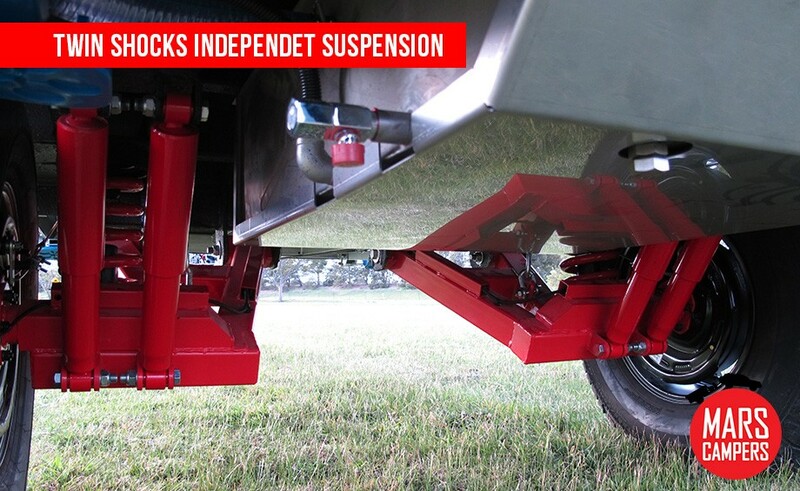 You mates will be sure to see you coming, and be over for a sticky beak, when you roll into camp towing a new Rover! With a low tare weight the Rover can be easily towed by most 4x4s, the Mars Rover is the new standard for premium hard floor campers. 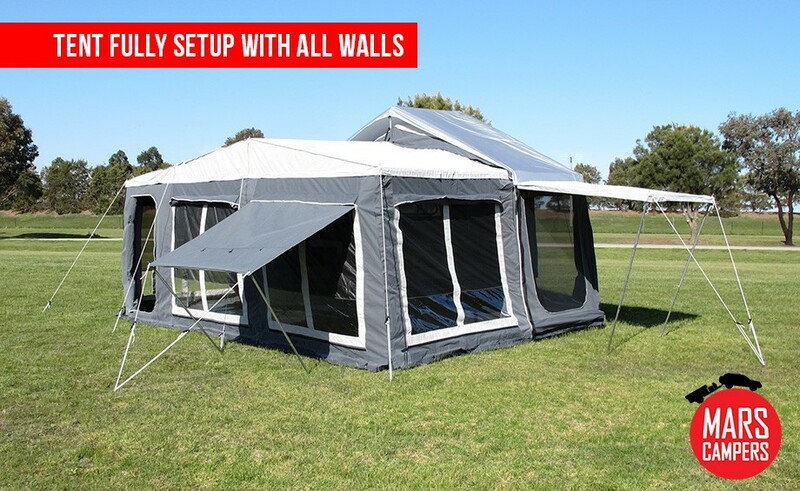 Main tent features a queen size inner spring bed, plenty of storage space, LED lighting, and power outlets. Huge 5.9m x 2.4m annex. The large fridge slide and pantry area are also under cover. 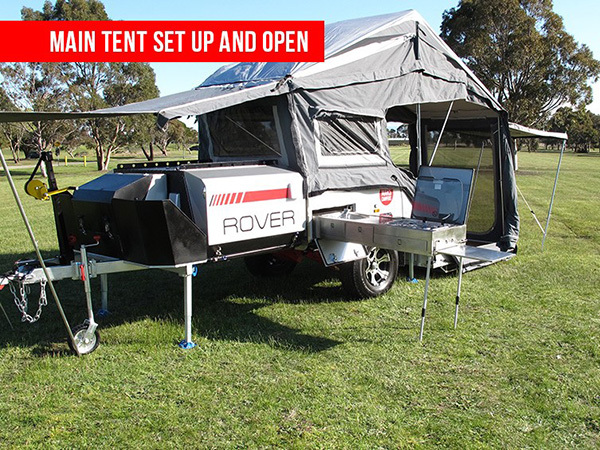 With additional pull out awnings at the front and rear of the camper, the Rover has more undercover living space than any other hard floor camper.